If you come to study in Australia you will have more options than just to study. Australia’s taxation system allows for you to do a lot more. The system is not that complicated and you might want to think about the other activities that you can do to earn money. It is also a good idea to take full advantage of your stay and partake in activities you normally could not. Working. Student visas will allow you to work for 20 hours a week. Some students can actually earn a decent income if they have the unique skills that are required in a particular field. This will help you to stay on in Australia at a later date. Employers will have to sponsor your visa in Australia for you to work full-time, and this situation is not as difficult as you may think. There are many ways for an employer to prove they need you in particular, if they want to. They must advertise the position to the general public, but your particular language set is an easy way for them to demonstrate you are the candidate they need. Fostering a good relationship with a company, so they will do what it takes for you to get a full-time visa, is a very good way to plan for your future and earn a good income. Student Activities. Australian Universities and just about all institutions will offer a range of activities from social events to other exciting hobbies and activities you might not have been able to do as easy and cheaply in your own country. 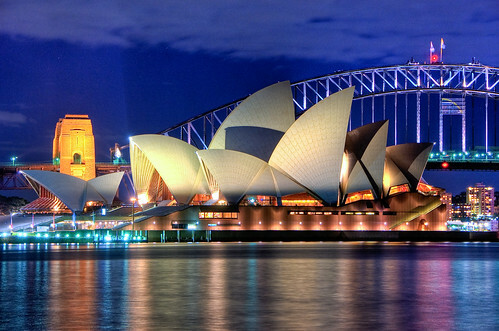 One of the biggest benefits of living and studying in Australia is the lifestyle. Many activities in Australia are much cheaper and more accessible than other countries. Sports. If you are interested in sports, then you have come to the right place. Whether as a participant, or as a spectator, you will most definitely find yourself getting involved in a range of sports in Australia. From excellent, world class motor-sports, very cheap golf for everyone, there is a sport for you. Many people who were not involved in sports before they came to Australia, soon find they are after arriving. If you cannot swim you are going to have to learn how. Swimming is something everyone does and can do. Travel. Cheap travel options with interstate buses means you can go and see a lot of the country on a very low budget. Great backpacking options are available for anyone, and know you will get great service and be able to stay just about anywhere on a very low budget. Business. Starting your own business in Australia is not very difficult at all. All you need to do is apply for an Australian Business Number, which is available on the internet at the Australian Government business site. Once you have this number you can use it to trade legally in your own name. Registering a business name is only an option. You are fully legal and there are many ways to do this well. Many Australians do this themselves. It is a simple way to work for a company and manage your own affairs and tax. It takes the hassle out of employing people for many companies. Most of the tradesmen you see working in Australia are working in this fashion. Although the Australian market is considered developed, more people are coming up with creative businesses that earn them considerable dollars, and because of the nature of Australian law, you know that you can do business safely and effectively online. Good luck. Book Cheap Maldives Holidays online. The clear underwater visibility and abundance of coral life make the Maldives one of the best dive destinations in the world.